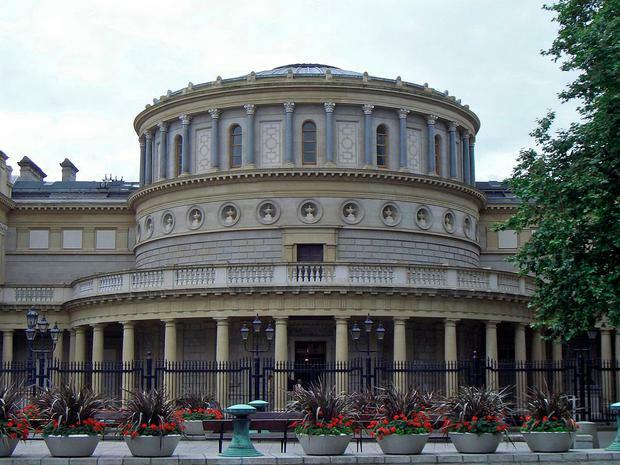 A senior employee of the National Museum of Ireland, who has been suspended for more than a year following complaints of sexual harassment, has brought fresh proceedings against his employer. The action has been brought by Dr Andrew Halpin arising out of new complaints against him but which his lawyers say actually date back several years. Dr Halpin was suspended as Assistant Keeper of Irish Antiquities following media reports in February 2017. Dr Halpin, who claims his suspension is unwarranted and unlawful, was the subject of previous complaints of sexual harassment from female colleagues at the museum in 2016 and 2006. He was informed he was being suspended to protect individuals at risk based on an alleged fear that due to the stress of adverse publicity there might be a repeat of conduct previously complained of. Dr Halpin says the claims are false. In proceedings against the museum, he seeks various declarations from the High Court which, if granted, will allow him to return to work. Those proceedings, which are pending before the courts, are being contested by the museum. Yesterday, Ms Justice Carmel Stewart heard Dr Halpin, of Yellowmeadows Avenue, Clondalkin, Dublin, has brought fresh proceedings against the National Museum, challenging his suspension. Frank Callanan SC, for Mr Halpin, said his client also seeks an injunction restraining the museum from continuing with an investigation into "new" complaints, which counsel said date back several years. Counsel said fresh proceedings had been brought because the museum had changed the terms of the suspension. Dr Halpin was anxious to have the matter heard as soon as possible and was concerned the investigation into the new complaints would proceed before the application has been heard. Ray Ryan BL, for the museum, denied his client had changed the terms of Dr Halpin's suspension. The judge adjourned the injunction application to later this month.